Hello! 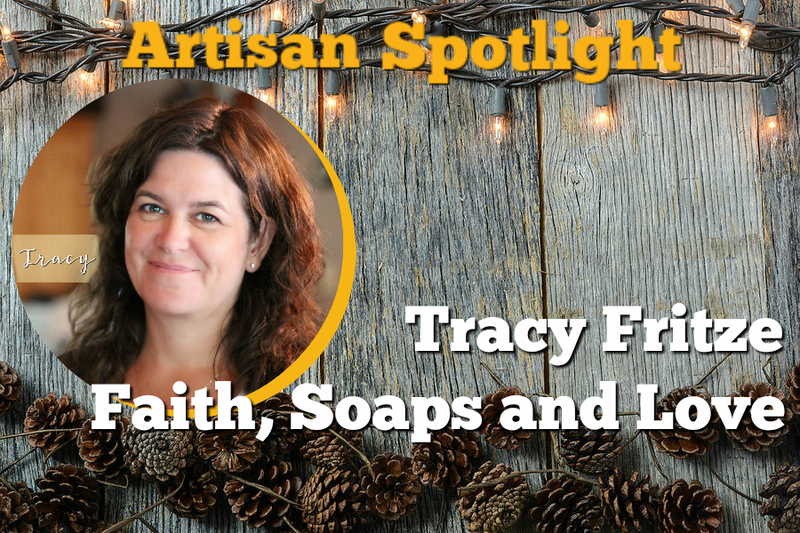 My name is Tracy and I am the owner of Faith, Soaps & Love. Faith, Soaps & Love was born out of my desire for a creative outlet, my love of baking, me spending a lot of time shopping for soap online and my faith in God. How do these things fit together? Well, the creative outlet part I am sure you understand, and the shopping part is pretty easy too! How does my love for baking come into play? Well, soaping is actually very much like baking - just a lot less calories! My faith was an interesting piece to add to this puzzle. It took a while to figure out how to incorporate it but my wonderful husband made me the most amazing stamp (J316) to stamp the bottom of all my soaps. J316 stands for John 3:16 - For God so loved the world that He gave His only begotten Son, that whoever believes in Him should not perish but have everlasting life. I do not take that soap stamp lightly nor the words it represents. 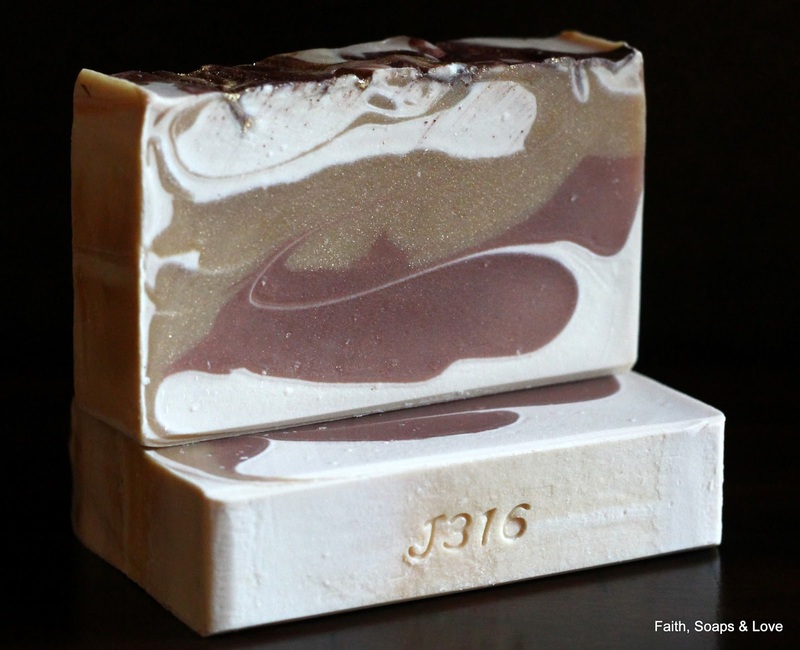 Each soap is hand stamped by the one and only J316 stamp I have. It has stamped over ten thousand soaps over the years! Think of how many people have been blessed with this scripture whether they knew it or not! I love that! Gradually, I have incorporated my faith into my packaging, many of the names of my products and product descriptions. It is fun finding scripture that matches a scent! My products aren't in your face preachy and it is not my intention to be in your face about it. It is more of what I call my silent ministry. It certainly a gateway to conversation when a customer asks me if the J316 is a product number! It could be a great ministry tool for you as well. All my products are made by me in my Minnesota home. I am a one woman show - I do everything from empty the trash cans to making the soap to mailing out your order! I am donating two bars of Three Wise Men soap. It is my hope that you keep one bar for yourself & bless someone else with the second bar. Maybe use it as a ministry tool? When Jesus was born, the Magi presented frankincense and myrrh and gold to Him. These valuable items were standard gifts to honor a king or deity in the ancient world: gold as a precious metal, frankincense as perfume or incense, and myrrh as an anointing oil. Three Wise Men Soap was crafted to convey this gifting. It is a wonderful, comforting combination of frankincense, myrrh, patchouli, and sandalwood. Contents: Olive Oil, Water, Palm Oil, Coconut Oil, Sodium Hydroxide, Cocoa Butter, Fragrance Oil, Titanium Dioxide, Mica, Oxide.